Not heading to New Orleans or Rio to celebrate Mardi Gras and Carnival (or Carnaval or Carnivale, depending on how you like spell it)? No problem. There are plenty of places in Los Angeles where you can celebrate the festive season on Fat Tuesday, February 9. (Yes, it’s OK to party on a Tuesday.) Whether you’re religious, hedonistic or a little of both, this is the time to get your grub on, shake it up and let the good times roll! 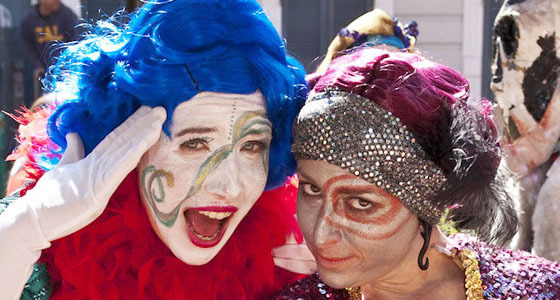 This outdoor market is hosting its 27th Annual Mardi Gras Celebration on Saturday, February 6 and Tuesday, February 9. 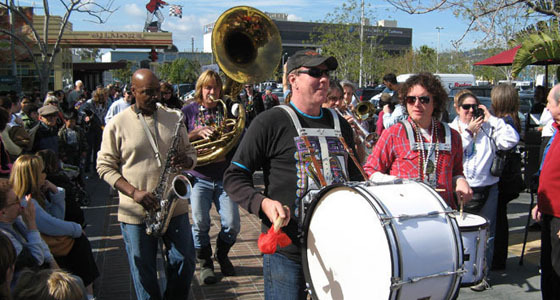 Saturday the party goes from 5pm to 10:30pm and on Fat Tuesday from 6pm to 9pm you can expect plenty of live New Orleans and Zydeco music, bead-throwing, strolling parade bands, Cajun food, beer and a whole lot more. Don’t wait for the Olympics in Rio for a taste of Brazilian revelry. 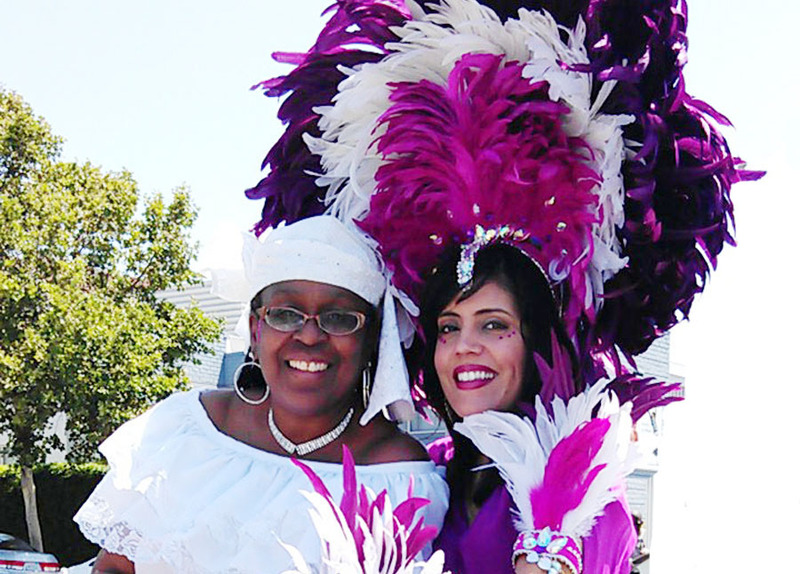 The 16th annual Brazilian Carnaval of Love descends upon the El Rey theatre on Saturday, February 26. Going on from 8pm to 2am, the non-stop event is a colorful and vibrant spectacle of music, dance, food and drink you won’t soon forget! This DTLA spot is all about SoCal farm-to-table freshness paired with the robust flavors of New Orleans. 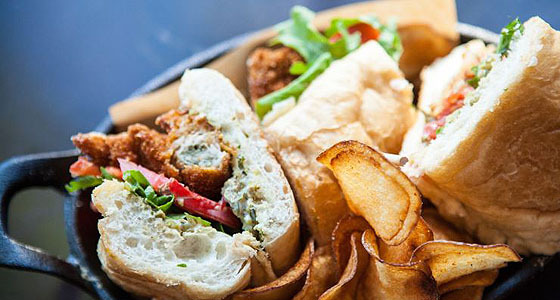 Expect plenty of drinks (including a frozen daiquiri bar and special King’s Cake cocktail) on Mardi Gras plus NOLA-inspired dishes like crispy frog legs, oyster and lobster po’ boys and even a deconstructed Muffaletta board. It’s LA meets LA! This Sunset Strip music megastore’s party starts at 2:30pm on Fat Tuesday with a DJ spinning Mardi Gras tunes, beads galore, live music performances, goodies for the kiddies and a parade at 4:30pm where everyone’s encouraged to bring an instrument and play “When The Saints Go Marching In.” There’s no cover charge and all are welcome. 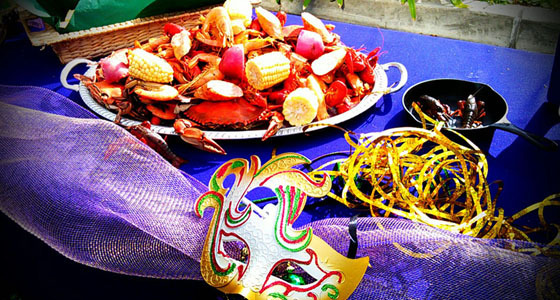 Whether you’re on the Westside or Eastside, Dominick’s and Little Dom’s are where to get a taste of N’awlins cooking with a special Cajun-inspired dinner menu on Fat Tuesday. New Orleans born Chef Brandon Boudet is whipping up everything from gumbo, jambalaya and crayfish pie to muffaletta sandwiches, beignets and mini king cakes. 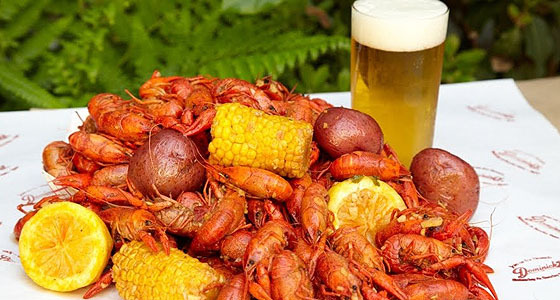 There’s always Big Easy fun at LA’s own Uncle Darrow’s where you can get all the flavors of the Bayou … without the beef or pork. The casual, family-owned restaurant in Marina del Rey offers healthier Southern delicacies such as gumbo, fried catfish, jambalaya, red beans and po’ boy sandwiches any day of the year, but Fat Tuesday is when the annual “Mardi Gras West” celebration takes place with live music, a crawfish boil and more. 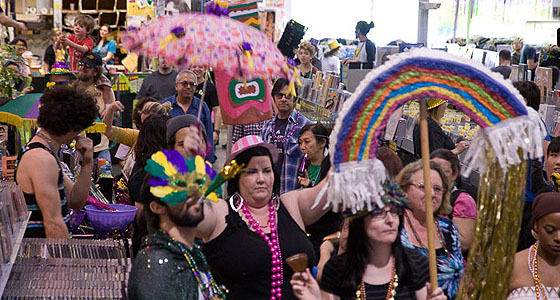 Rain or shine, the 45th annual Long Beach Mardi Gras Parade is taking place on Saturday, January 30 with a festival that promises to bring pageantry, music and fun with more than 60 floats and marching bands, plus food and drinks. The best part — all monies raised will be donated to local charities. Hey, thanks for the tip Copyright Jerk (not a jerk at all!) I checked out the site … it has proper attribution, so I’m good with it. Thanks, again. I love mardis gras!! Farmers market is always cool and so is Ameoba….not bad.